Have you heard about the Hummus War? It's sort of funny, but it's no joke. CNN reports that Lebanon has asked the European Union to declare hummus a Lebanese dish, in the way feta cheese has been certified as Greek. Anyone can make and sell feta cheese, but the label must say "Greek style cheese" if it's not actually from Greece. If Lebanon succeeds, hummus will have to carry a similar Lebanon-origin label. In order to dramatize their claim, a group of Lebanese chefs recently set the Guiness World Record for the largest plate of hummus ever made (see photo at top). The recipe used eight tons of boiled chickpeas, two tons of tahini, two tons of lemon juice and 154 pounds of olive oil. 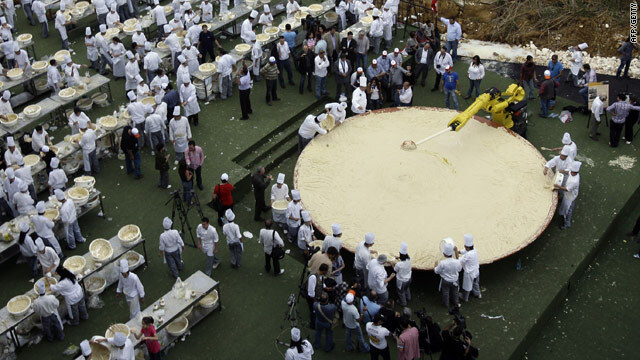 The completed dish weighed 11.5 tons, which sounds adequate for the average Armenian church picnic. Who wouldn't marvel at such an achievement? The Israelis, who aren't ready to concede their share of the worldwide billion-dollar hummus market. The Lebanese say Israel is poaching (or maybe just boiling) their chickpea territory. Israel makes no claim that hummus is of Israeli origin but says hummus is a regional dish that no country can claim as its own. We hear plenty from readers (and especially YouTube viewers) who are certain that this dish or that either definitely is or isn't Armenian. It's not enough to say that Armenians enjoy certain foods or traditionally prepare them a certain way. Some people just can't enjoy a meal without knowing, or at least believing, that Armenians were the first to cook lamb on a skewer or wrap rice in a grape leaf. So why doesn't Armenia register something? Yogurt (madzoon) would certainly be profitable. How about lavash bread? A slice of the worldwide sandwich-wrap market would be mighty satisfying! What do you think? 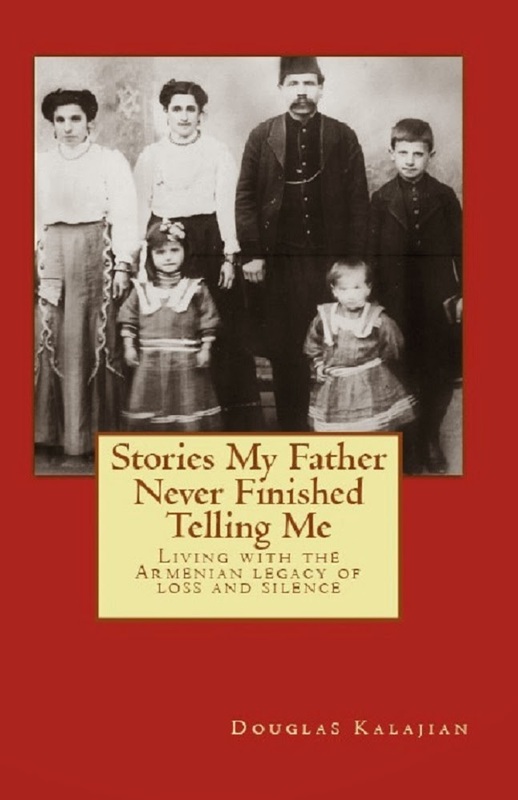 What should we Armenians insist the world recognize as our own? People need to get over themselves,and just eat! For goodness sakes! Aren't there more important things to be spending our time on? Being that Hummus is named after a Syrian city, I would have to say the Lebanese are wrong. I say go for yogurt. That's where the money is. Imagine the commercials for "Dannon Curdled Milk Product." HAHAHAHAHAHAHA!!!! Ok the hummus wars have a legit reason. The reason why Arabs (in particular Lebanese and Palestinians) get upset when Israelis claim hummus shawerma and kanafa as theirs is because of the fact that Israel has taken land and lives from both countries (in addition to it being factually incorrect). It's not about claiming prestige for a delicious meal, it's about hanging on to an identity that has been stripped away. It's like turkey stealing notorious Armenian food and claiming it as turkish. That would piss the Armenians off yes? Honestly hummus is just OK to me...but the fuss not for a silly reason. 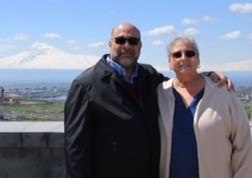 Now as a Palestinian when see Armenians claim Lebanese salads as theirs, I may get confused and don't feel like it is correct, but I'm not going to get upset because the Armenians have been good to the Arab people. Their is no agenda to steal another culture and they aren't oppressing the arabs. That's the mindset behind all this.